Kendell’s Pool Service & Maintenance Inc.
Kendell’s Pool Service & Maintenance Inc. offers a full range of general pool and spa cleaning and maintenance services. We are the premier swimming pool and spa service provider in the Utah-Arizona-Nevada corridor. Whether your pool is blue or green, empty or full, call us today for an estimate. Kendell’s Pool Service & Maintenance Inc. has been the go-to pool cleaning service in Santa Clara, UT since our establishment in 1992. We provide services to customers along I-15, from Mesquite, NV to Littlefield, AZ to Washington County, UT. Our specialties include a variety of services covering general pool and spa cleaning and maintenance that encompass surface skimming, wall and floor brushing, vacuuming, skimmer basket maintenance and backwash filter maintenance. We also take care of any chemical tests, water balancing, maintenance of chlorine levels, salt levels, acidic chemicals, pool shocking and algaecide. We further specialize in pump equipment repair and service. Our pool cleaners in Santa Clara, UT are committed to ensuring you receive top-quality service, for complete satisfaction with our company and the utmost enjoyment of your pool and spa. We value providing our customers and their property with unparalleled care, and it shows. Kendell’s Pool Service & Maintenance Inc. has a long list of satisfied customers who have relied on us for unbeatable pool repair in Santa Clara, UT. We invite you to join them and take advantage of the many service benefits our well-trained team has to offer. We’ll make this your best season yet! We provide a free consultation with your first service visit. 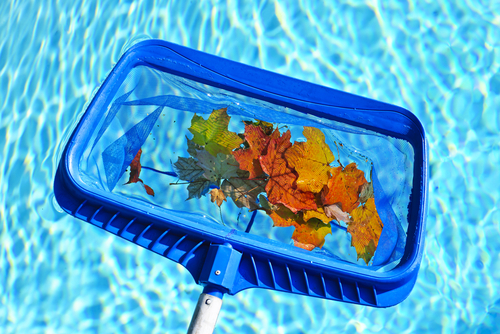 Our specialties encompass all your pool and spa care needs, from cleaning to maintenance. We are members of the National Swimming Pool Foundation (NSPF) and a Certified Clark County Pool Tech. We are locally-owned and -operated, established in 1992. When you want a pristine pool and customer-centric service to maintain it, contact the experts at Kendell’s Pool Service & Maintenance Inc. Contact us for a free quote today.